As we observe Veterans Day, let’s take a moment to reflect on why we say, “Thank you for your service” to Veterans. Personally, it makes me remember the times I’ve spent away at war. I think about some of the friends that I’ve lost and how lucky I was to come home to my Family when they didn’t. It gives me a deep sense of honor to hear that phrase when I wear the uniform and to explain to my young son why so many people say it to me on the street. I never take it for granted because I know that person took the time out of their busy day to approach a complete stranger and say it. It’s a phrase I don’t hesitate to say if I see a WWII or Viet Nam Veteran. I always try to go out of my way to shake their hand because to me it’s a huge sense of honor to thank them—to let them know that I remember what they did and that I’m grateful for their sacrifice. What about you? Do you say it? If so what does it mean to you? Did you lose someone? 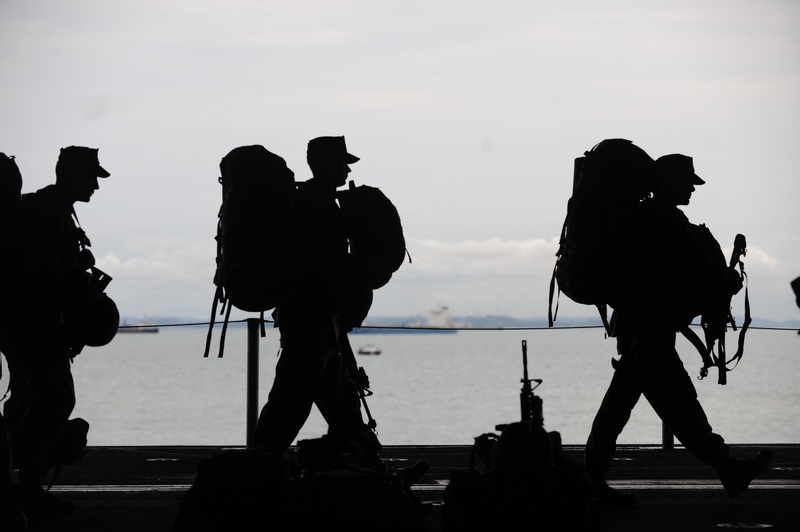 Is someone you love deployed overseas? If you’re a person who may be shy or hesitant to make that kind of conversation, I hope you’ll reconsider and take the chance to thank just one Veteran today and every day. I say this because even in tough times, we have so many incredible things to be grateful for. I honestly believe that at the core of everything we call “freedom”, somewhere, at some point, there was a Veteran that made it possible. This is exactly why my albums “Longing for Home” and “Coming Home” are dedicated to Soldiers and their incredible Families. These men and women answered the “call” with a sense of duty and loyalty to something greater than themselves. They stand ready to make the ultimate sacrifice so that we don’t have to. That’s pretty huge if you think about it and right at the very heart of what President John F. Kennedy meant when he said, “Ask what you can do for your country”. It’s an honor for me to tell their stories through my music—to thank them for their service in my own way. I hope that today and every day, you’ll thank them too.